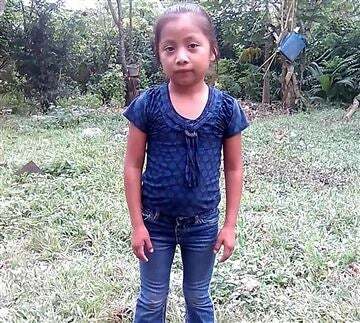 Seven-year-old Jakelin Caal Maquin, the small girl who died while migrating to the United States from Guatemala, died from a bacterial infection known as streptococcal sepsis while in U.S. Customs and Border Protection custody, according to an autopsy. The El Paso medical examiner released the autopsy report Friday. Sepsis was found in Maquin’s lungs, liver and spleen. She died in December, two days after she was detained alongside her father by CBP. By the time Jakelin made it to a children’s hospital in El Paso, she was having seizures and vomiting. Jakelin and her father Nery Gilberto Caal Cruz spent eight hours with CBP agents after being apprehended for illegally crossing the border as part of a large group of migrants. They were not placed on a bus departing for the Lordsburg Border Patrol Station. While in custody, Jakelin’s father was given a form to certify his child was healthy. Lawyers representing him say the form was in English, which Caal did not speak. Jakelin’s death led Border Protection to begin improving its system for evaluating the health of small children. Jakelin’s family wishes to see an independent investigation. “I wanted to know what happened,” said Jakelin’s father from Philadelphia, where he has been staying with relatives while awaiting the results of his immigration case.